Bob's Arches - About Bob. 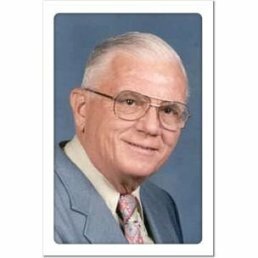 Bob Fagley (1921 - 2013) was born and raised in the Cincinnati, Ohio area. He graduated from the University of Cincinnati with an ME degree. As a co-op student, he worked at ARMCO in Butler, PA, where he met his wife after WWII. He served as a lieutenant in the Army Ordnance Dept. on Adak and Atka in the Aleutian Islands. He was employed by General Electric for 5 years working on the nuclear-powered airplane project (ANP Project) until president Kennedy cancelled it. Further employment took him to Salt Lake City where he worked on several rocket programs at Hercules Incorporated until he retired 25 years later in 1986. He, his wife Doris, and two daughters greatly enjoyed the national parks, national monuments, and the great scenery in and around Utah. The photographs without attribution were all taken by him or his wife and are the base upon which the site was created. He is grateful for the photographs supplied by other viewers. 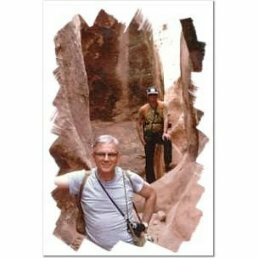 During the almost 40 year span over which his photos were taken, Arches National Park has changed from a virtually unknown National Monument to a widely known and heavily visited National Park.